I have to share this lovely image and sentiment. Just the perfect message for today! 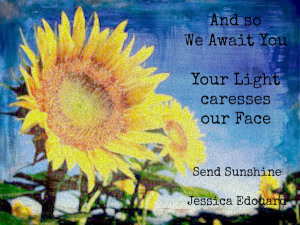 I am extremely flattered to have received this award from SendSunshine who reminds me often that my small voice in this universe has value, strength and beauty. What would we do without her amazing site… she is the sunshine towards which I turn my face! This looks like a fantastic list of books…I definitely need to get my hands on these titles! 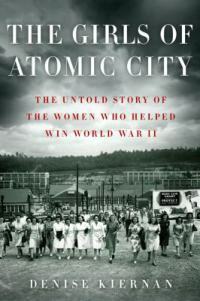 I recently finished reading The Girls of Atomic City: The Untold Story of the Women Who Helped Win World War II by Denise Kiernan. It is a fascinating look into a town that never existed on any map but had a HUGE influence on the outcome of World War II. Although not all of the residents were women, of course, the story is told through the lives of several different ladies who found themselves at this historic place. These women varied in the amount of education they had received, their race, marital status and part of the country they were from, but all of them contributed to output that Oak Ridge was designed to create – enriched uranium for use in the first atomic bombs, including the ones dropped on Japan in August of 1945.